The Breakdown: Times are tough, and with employment being harder for people to find, it’s really important that as a jobseeker, you make the effort to break through the clutter, as hundreds of others are vying for a position as well. 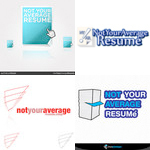 Not Your Average Resume is a site that provides “cutting edge” resume templates for those active job applicants, and they need a logo that is eye catching and conveys creativity. 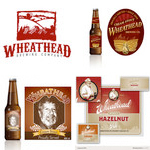 The Breakdown: American forefather Benjamin Franklin once said, “Beer is living proof that God loves us and wants us to be happy.” So obviously, Wheathead Brewery wants to make us all happy with their Idaho-based brew pub. They are looking for a woodcut, old style design that will tug at everyone’s heartstrings (and livers). So, please go make good ol’ Ben (and the crowdSPRING crew) proud! 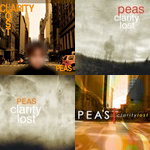 The Breakdown: Downtempo/electronic music artist Peas needs some New York City-esque artwork for his upcoming album. Currently, Peas is looking for the perfect CD cover, later to be supplemented by some nifty inserts, CD design, and all the good stuff that comes with good, old fashioned, tangible music. The design must be young, hip, and retromodern. The buyer loves Helvetica. We do too. Don’t lie, you know you play favorites with your typography as well. The Breakdown: So, you may be doing a double take with the “$0” award amount, but that isn’t a typo, my friends. This week, crowdSPRING launched its “Give Back” program, where we spotlight non-profit organizations and allow them to post pro bono projects on the site. We’re all about the sharing the warm + fuzzy feeling, and we know our community is as well. 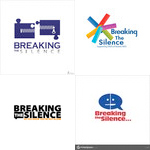 The first project is for UK-based organization “Breaking the Silence,” a support group for fathers of autistic children. I guarantee the brief and their story alone will stir every creative bone in your body. There you have it for this week, folks. That’s your Weekly Glance of Awesomeness! It’s been really fun. I now pass the torch along to the next witty, capable Community Manager!